The United States Federal Census is among the most frequently utilized resources of genealogical researchers. However, rarely do we stop and consider the difficulties faced by enumerators in obtaining the data that we value so dearly. 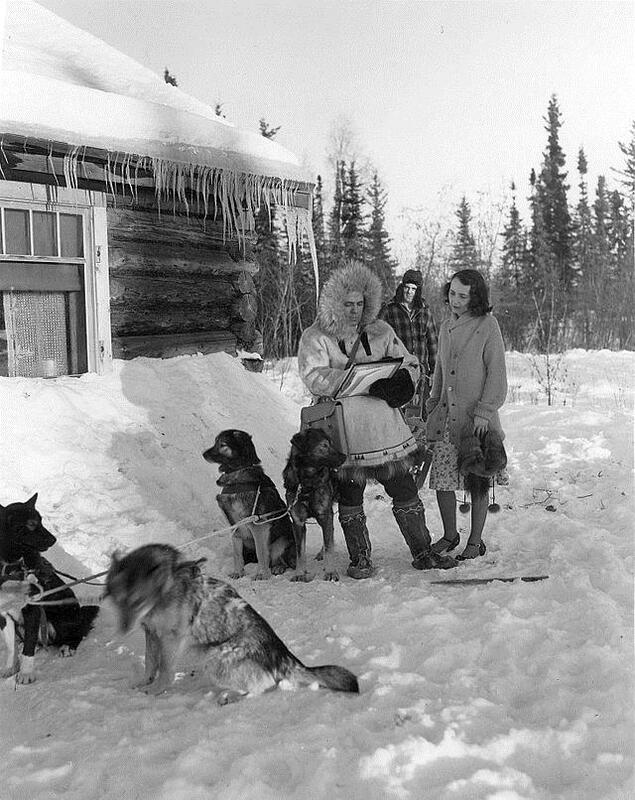 Never was the plight of census takers more apparent or severe than during the early decades of the twentieth century, when a number of men were charged with surveying the population of the Alaskan Territory. Unlike the other forty-four states, where the census was taken on 15 April 1900, in Alaska enumerators began surveying the population as early as July 1899, and certain areas were not counted until October 1900, a span of fifteen months. This was due largely to the fact that the Territory had a population density of 0.1 persons per square mile, as compared to the United States as a whole, which had a population of 30.4 persons per square mile. The population density for Alaska equated to an area of 9.2 square miles per inhabitant. The methods utilized by census enumerators to obtain their data was often times reminiscent of an action film. For instance, in the Supplement to the 1910 Census, the tale of one individual identified only as “Enumerator No. 12” is told. This enumerator, who was traveling through his district by dog sled, got caught in a blinding snowstorm for more than three days. After racing to the isolated camp which served as the team’s goal, the enumerator recorded the data for the camp on scrap paper before retracing his 200-mile journey for more supplies. 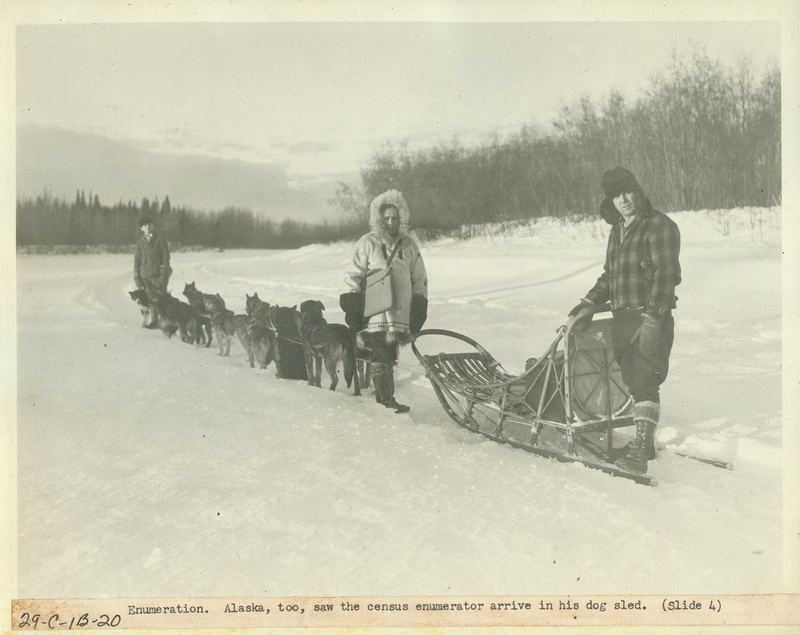 Certain coastline areas could not support larger boats, and as a result census agents utilized three-holed animal skin boats known as “bidarkies.” Another challenge faced by enumerators was counting the large non-English speaking indigenous population of Alaska. According to the 1910 supplement, census taking for the native population was largely done by teachers during the Christmas holiday, as this is when a majority of the population was home. Adding to census takers’ difficulties was the fact that many of the natives did not know their age in terms of years. One enumerator recalled that most indigenous people could recall a significant event from their childhood and could identify that they were “as big as that” while pointing to a child of a known age. Furthermore, natives did not utilize a system of months; instead, they identified months in terms of events such as the month of “sea otter hunting” (April), the month of “mak[ing] gardens” (May), the month of “first berries ripen[ing]” (July) and the month of “first snow-about” (October). Natekok’s household in the 1900 United States Federal Census for Alaska. Click on image to expand it. All of these factors led to a lot of interesting cases and omitted information. For instance, as seen above, one enumerator recorded a household headed by 104 year old Natekok (born in an unknown month in 1795) and her 69-year-old daughter, as well as a 3-year-old daughter. It is in situations such as this that language barriers become clear. Another view of the 1940 census in preparation. Census.gov. “Supplement for Alaska: Population, Agriculture, Manufacturers, Mines and Quarries” (1910), http://www2.census.gov/prod2/decennial/documents/41033927n358-359ch10.pdf, p. 567. Household of Natekok, 1900 United States Federal Census, Alaska, Household 185. “Supplement for Alaska,” p. 570. Given native customs, the 3 year old “daughter” could well have been another relative of some sort who was being raised by the old woman and her daughter. As a 70 year old daughter of a 100 year old, the other ages seem reasonable to me. In a climate like that, once into adulthood, people could live a long time. But I agree that this family and the enumerator would have been unlikely to have the common language to be able to make clear to him how they understood how the toddler fit into the family structure. They were no doubt working with a form of pidgin (in the Pacific Northwest it was called Chinook, calling on English and several different tribal dialects), and that’s not very subtle, along with gestures, no more subtle. The 1940 picture struck me for a very different reason. Pictures of my mother in 1940 look very much like that woman, complete with the shoes. She seems to be holding either more appropriate footwear, or mittens. I’m guessing she just threw on her coat to come outside to answer his questions. The man in the background appears more dressed for the cold, whether he’s her husband or with the enumerator. The snow partway up the window reminded me of something I saw in the mountains of WA in the late 1940s. Hiking on a logging road, we came across a log cabin with two doors, one above the other. In response to my question, my mother, who had been a mountain climber and downhill skier before having three children in five years, told me they were “the summer door and the winter door.” She said there was so much snow in this area that eventually, as in Boston this winter, the bottom door could not be kept clear. So the family just used the door in the attic to come and go. At six, I thought that sounded like fun! My parents, probably not so much.